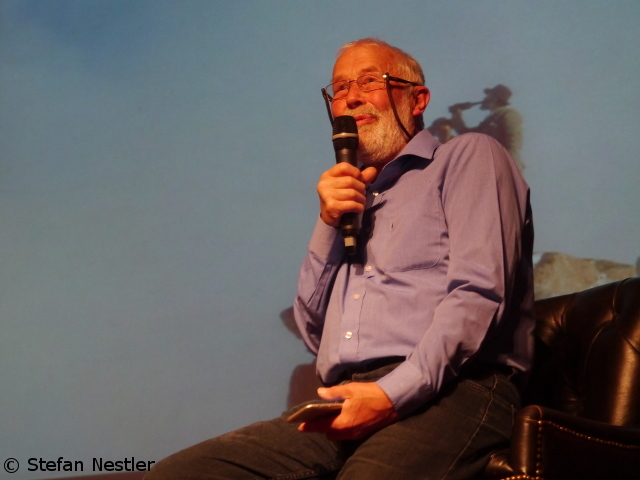 „This award for my live achievements means a lot to me“, said Sir Chris Bonington visibly touched. „It honours not only me but also my peers and fellow mountaineers.“ On Saturday evening in Courmayeur, the 80-year-old British mountaineering legend will be awarded the „Piolet d’Or Career 2015“ for all his outstanding performances as climber and expedition leader that has been inspiring the following generations of extreme mountaineers. The previous evening in Chamonix, Boningtons achievements were presented, by himself and by his former British climbing mates Doug Scott (who got the Piolet d’Or Career in 2011) and Paul „Tut“ Braithwaite.